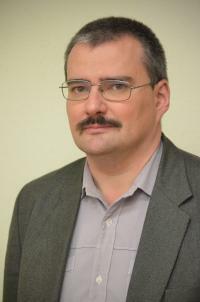 Professor Halász is a historian who (earning his PhD at Eötvös Lóránd University in Budapest in 2001) and a lawyer (earning his PhD at Charles University in Prague in 2012). He done his habilitation in legal sciences at Eötvös Loránd University in 2012, and in Slavonic studies at Charles University in 2013. He is a lecturer of the Faculty since 2002 and is currently head of the Institute of Constitutional Law. His main research fields include comparative constitutional law, electoral law, migration and citizenship issues, state-building and international civilian crisis management, legal history and development of Central Europe. Office: H-1083 Budapest, Üllői út 82., Educational Building, Office 424. The Institute for Constitutional Law was established on the 1st of February, 2016 by the merger of the Department of Constitutional Law and the Department of European and Comparative Public Law. In accordance with the heritage, teaching and research activities are based on two pillars: teaching and research of Hungarian constitutional law and comparative public law. The Institute keeps issues related to constitutional rights and rule of law in the focus of research in both fields. In addition to the courses offered by the Institute our instructors are also engaged in thesis supervision. The Institute deals with European and other western type constitutional democracies along with constitutional development of the BRICS states. Special attention is dedicated to the constitutional developments of the neighbouring countries and to constitutional issues of the Visegrad countries. The Institute gives priority to comparative research on public law developing a strong theoretical and historical background for these research projects. The Institute finds it critical to interact with foreign colleagues in international research projects, currently members of the Institute work together with professors working at Yale University, University of Sorbonne or the Max Planck Institute, Heidelberg, Charles University, Prague and scholars from neighbouring and Visegrad countries.